Nanoscience involves the study of phenomena and manipulation of matter on a nanometre scale and development of a wide range of tools, objects, structures, devices, systems and techniques of nanotechnologies. This is a fast-growing area of research and development. It is widely predicted that the nanotechnologies will become a central focus for driving economic growth in the 21st century. These fields are attracting rapidly increasing investments from governments and from businesses across the globe. The aim of the current UK Strategy for nanotechnologies is to describe the actions necessary to ensure that the UK obtains maximum economic, environmental and societal benefit from nanotechnologies while keeping the risks properly managed (EPSRC). Nanotechnology has the ability to solve problems associated to human civilizations, pertaining to both basic needs and aspirations for a comfortable life. Although nanotechnology involves the manipulation of matter on an atomic, molecular and supramolecular scale, the specific technological goal is of precisely manipulating atoms and molecules for fabrication of macro scale products, also now referred to as molecular nanotechnology. Nanotechnology is evolving towards becoming a general-purpose technology by 2020, encircling four generations of products with increasing structural and dynamic complexity such as Passive nanostructures, active nanostructures, nano systems, molecular Nano systems. Recent research study, "Nanotechnology Market Outlook 2017", RNCOS' analysts have identified that the global nanotechnology industry has been growing at a rapid pace with rising applications in sectors like electronic, energy, healthcare sector etc. In addition, market trends like nanotechnology-based thin film solar cells with high efficiency; nanomaterials with higher strength; robust growth in nanofibers and nanomedicine market; etc., are booming growth in this industry. Considering the above factors, the global nanotechnology market is anticipated to grow at a CAGR of around 19% during 2013-2017. Nanotechnology has been the greatest incentive to technological and industrial development in the 21st century and has been recognized as the resource for the next industrial revolution. The evolving technology has already influenced a significant impact of industrial segments, and the economic activity generated from it has been high in magnitude and wide in scope. The nanotechnology-based products, which have had an enormous impact on almost each industrial sector, are now entering the consumer market in a big way. 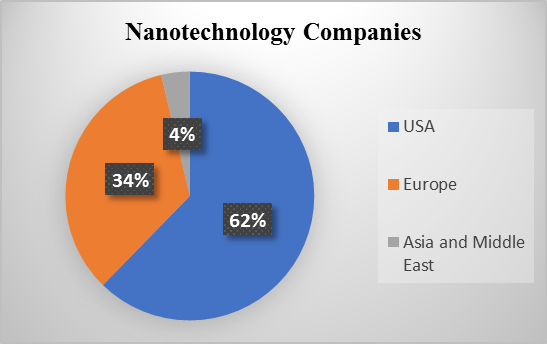 In this report, the analysts have studied the nanotechnology market by application, by component and by region. On the application front, they have analyzed nanotechnology use in electronics, energy, cosmetics, medical and defense sector. In addition, they have covered the current nanotechnology market and forecast for each of the above-mentioned segments till 2017. 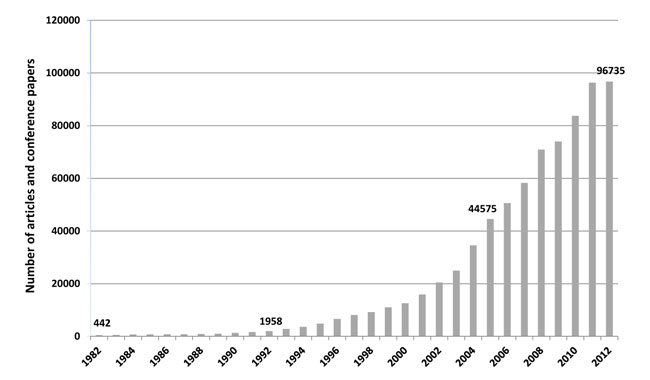 In terms of component, the nanotechnology market can be segregated into nanomaterials, nanotools and nanodevices. The report covers their present and future shares in the market. 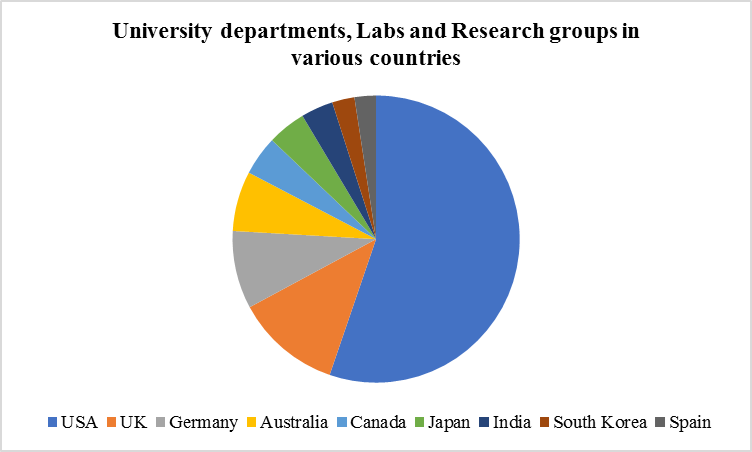 Further, country level analysis discusses nanotechnology market in major countries like USA, Germany, France, the U.K., Russia, etc., the present key growth drivers, and future directions for each nation. In addition, it covers the nanotechnology patent analyses, including number of patent publications and global top assignees of nanotechnology patent literature. 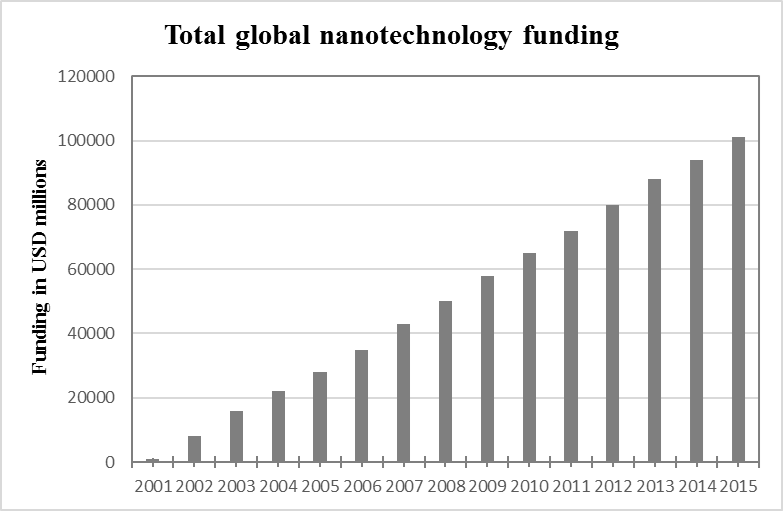 Besides this, the report covers the global R&D funding for the nanotechnology industry, including break-ups for corporate, public and venture capital funding along with their forecasts. The report even covers country-level analysis of R&D funding to provide in-depth understanding about investment related to nanotechnology. 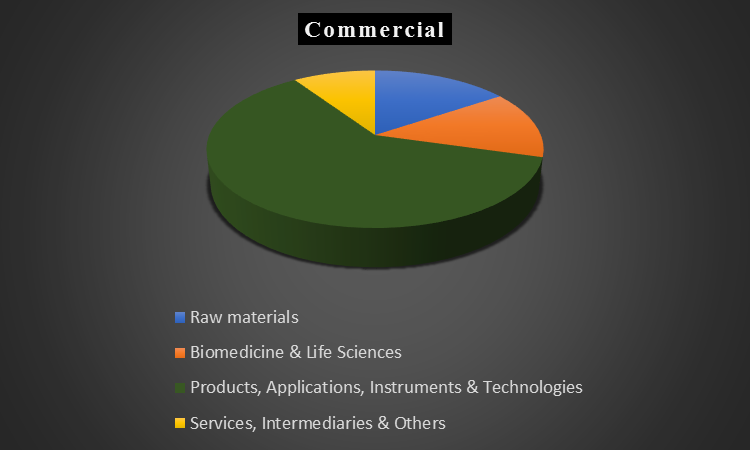 The nanotechnology market reports consist of two large areas: commercial and research community.